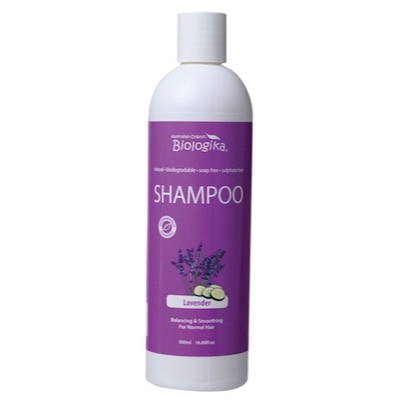 A luxurious shampoo that revitalises hair, leaving it controllable and easy to manage. Containing organic aloe vera which is rich in vitamin E and C to protect and rejuvenate; organic green tea is used for its wonderful antioxidant effects and organic cucumber is added for its ability to remove impurities from hair and scalp. Ingredients: Purified water, organic aloe vera juice, coco polyglucoside, organic extracts of cucumber and green tea, decylglucoside, locust bean gum, Australian lavender pure essential oil, citrus seed extract, olive leaf extract, potassium sorbate and citric acid.